TICKETS: $10 for JCC members; $12 for the public. Free for students. 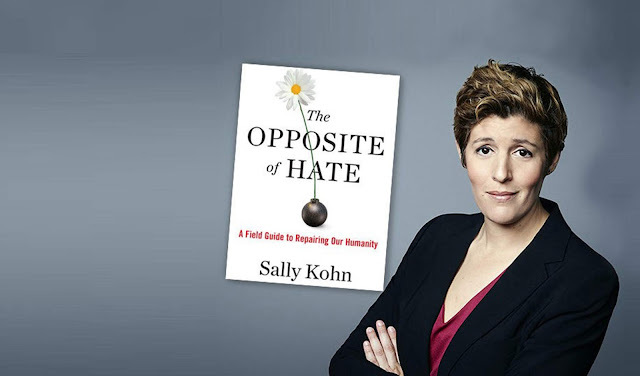 Sally Kohn—a progressive commentator on Fox News and now CNN—will appear at the Kaplen JCC on the Palisades where she will discuss her journalist experiences and her new book, The Opposite of Hate: A Field Guide to Repairing Our Humanity. Kohn has made a career out of bridging political differences and learning how to talk civilly to people whose views she disagrees with passionately, and her TED talks have garnered over three million views. In her new book, Kohn explores the roots of hate, which documents meetings with terrorists, white supremacists, and even some of her own Twitter trolls. During her presentation, Kohn will share her research, some of the surprising lessons she has learned, and how she came to confront her own shameful moments in an attempt to identify a path toward change. The program will conclude with a Q&A.